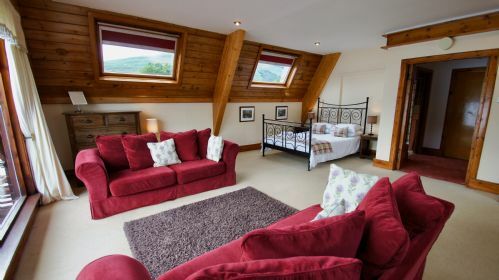 With views of Loch Earn from the lounge and the master bedroom this idyllic property offers accommodation for up to 8. 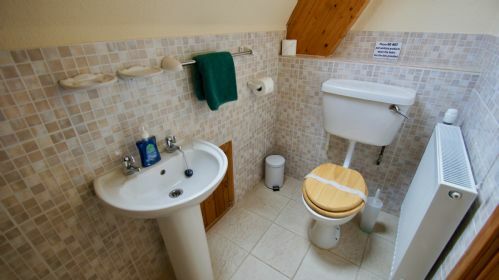 There is level access to the accommodation and a bathroom downstairs with bath, shower and toilet (one step in the bathroom). 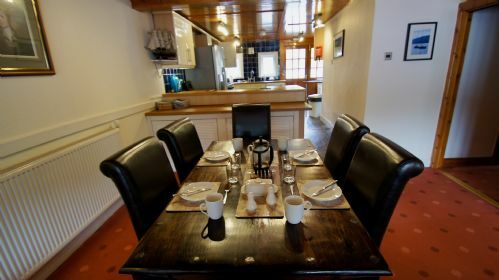 Downstairs is a spacious lounge, dining area and fully equipped kitchen. From the lounge you can step out onto the decking with bench seating. 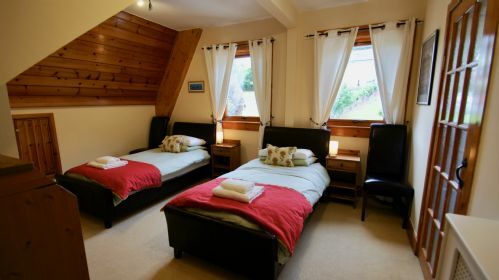 On the second floor is the master double room with a large picture window and views of the loch. 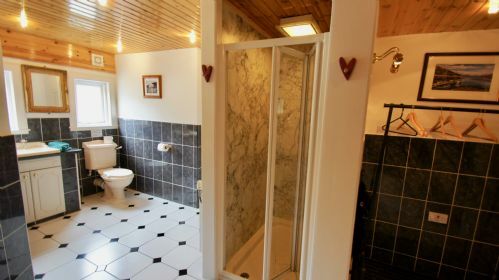 There is also a twin en-suite room on this floor. 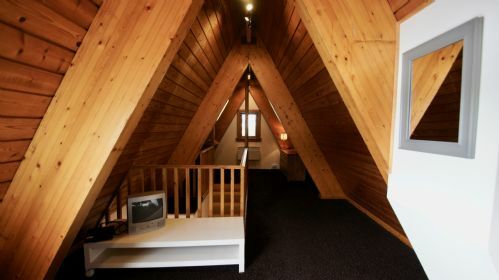 On the third floor is a second double bed and two single beds in a loft attic room. 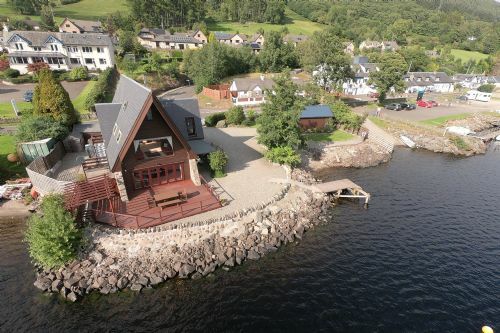 The Boathouse has its own mooring and fishing from the Loch side, a fabulous place for watersports or relaxing on the patio while enjoying the outstandingly beautiful scenery. Open plan lounge and kitchen with french doors allowing access to the decked area makes this a great family or group accommodation. Thanks John. Glad to hear the weather was good to you. We had a lovely time in Lochearnhead. The house couldn’t really be in a better location, and with the exception of food and drink, everything we needed was provided (towels, dishwasher tablets, etc.). The master bedroom is straight out of a James Bond movie! Amazing place! Many thanks for taking the time to leave us a review! We are happy to hear that you enjoyed your stay and the property. We hope to see you again in the future. A most enjoyable stay, in comfort, spectacular views and well equiped. The Boat House is a top notch places to stay. A birthday break to remember. 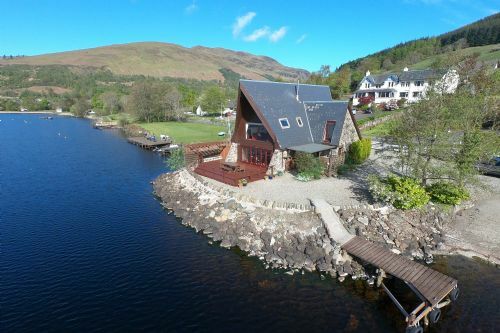 Perfect situation with loch views and access to Clachan across the road. Lots of room to relax. Would certainly book again. 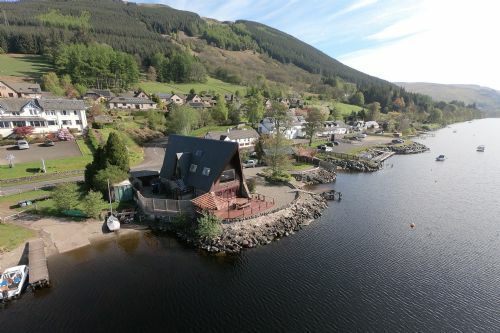 Fantastic location on the shore of Loch Earn. The house provides accommodation for up to eight people, but there are five in our family, so we have plenty of room. We had a problem with the TV sound, but this was quickly resolved by Matthew from Cooper Cottages. The internal cleanliness has improved since our stay last year, but the outside of the house could do with a good clean to get rid of the multitude of cob webs! Our only complaint would be the unexpected arrival of trades people, which could have been a problem had our two dogs been free! Thank you for taking the time to leave a review. We do clean the property after each guest and the outside is cleaned regularly. I am sorry to hear about the disturbance by tradespeople and we will try to ensure this does not happen in future. Spent a week in the Boathouse with friends, and it was perfect. We cooked in the kitchen nearly every night, and found it clean and well stocked with pots/pans/etc. Bedlinens were very comfortable, and with three bathrooms, there was room for everyone. We loved eating on the deck and lounging on the comfy couch. Highly recommend the Glen Ogle trail leaving directly from Lochearnhead, and the Water Sports Center at the other end of the Loch. This is our fourth trip to the boathouse and we are never disappoint. We will be going back for our fifth visit sometime soon. The Boathouse is truly unique, with one of the best views in Scotland. We’ve been staying here for several years and just love it. Christine at Cooper Cortages is great to deal with and they make sure your stay goes well. 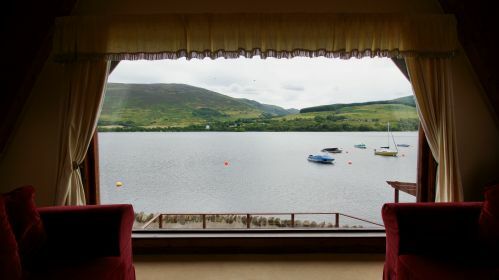 We have returned yet again to the fantastic location and excellent view of the Loch, ideal for what we require for our boats and water skiing. The local people are very friendly. Fantastic property, location and activities very easy to deal with and contact beautiful property. Close to great activity centre nod site, veiws are amazing can't say enough. 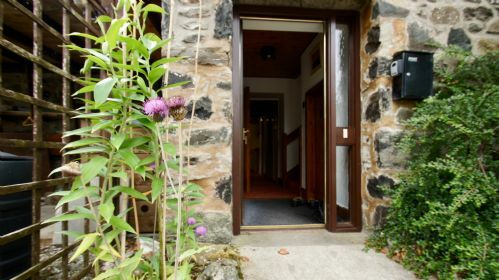 Could not love this house more - incredible location right on Loch Earn, big enough to comfortably sleep 8 people, great amount of indoor and outdoor space and very friendly hosts. Will definitely be coming back! Thank you for your review. We're glad to hear you enjoyed your stay. We look forward to welcoming you back again in the future. Wonderful property in a stunning location. We enjoyed another family break at the Boathouse. 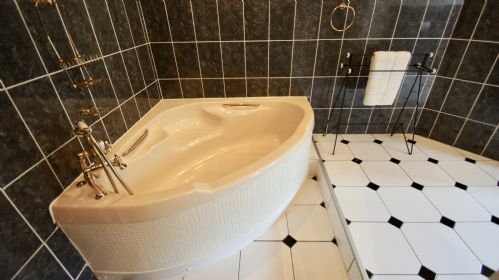 The house is spacious and comfortable, and perfect for relaxing quality time as a family. The location is peaceful and beautiful whatever the weather. Absolutely loved our stay at The Boathouse! The location was excellent with views of the Loch to die for. The house was really well equipped and cosy. Lots of running and walking routes from the front door too. Would definitely recommend The Boathouse to family and friends and would love to come back and spend more time here. Hi Lorna, Thanks for your review. Glad to hear that you enjoyed your stay at the Boathouse and a few of the local walks. We look forward to welcoming you back again soon. We try to visit each year and look forward to returning! Thank you for visiting again this year. Glad that you enjoyed your New Year break. The Boathouse is a wonderful property in a glorious location. The accommodation is spacious, very comfortable and even if the rain had lashed down all week (which it didn't!) we would have enjoyed our stay. The proximity of the loch even tempted in a couple of our children....in October! Thank you for your review. Glad to hear that you enjoyed your stay. This was our second stay in the Boathouse in Lochearnhead, it's the most beautiful location and ideal for our boating activities. 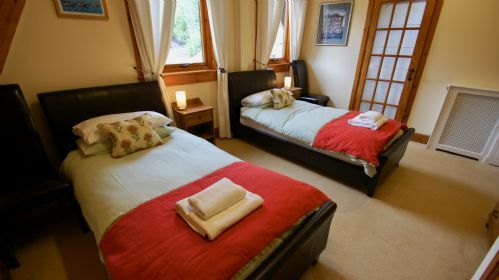 The accommodation is excellent, evenings spent relaxing on the decking just a few metres from the loch are memorable, we look forward to many more in the years to come. We've already booked again for 10 nights in 2018...counting the days. Thanks once again Cooper Cottages. 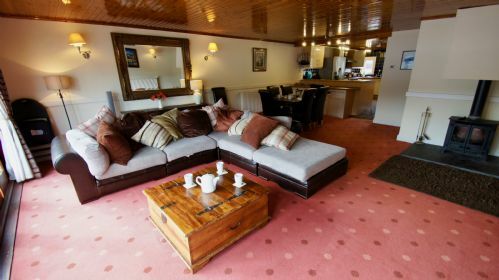 Great location for water sports and outdoor activities, equally brilliant for just chilling out on the decking or taking in the spectacular view from the upstairs lounge. Thank you for this review. Glad to hear your break and waterskiing at the Boathouse. This is our 4th time at the Boathouse and it does not disappoint, the location and views are spectacular with plenty of outside space. There's loads of parking for boat trailers and vehicles, and two moorings which add to the ease of the holiday. Just back from a fantastic weekend at The Boathouse. Will definitely be going back. Views and scenery are amazing. House is great especially the enclosed deck area, great for the smaller kids. Older kids spent the days fishing and feeding the ducks on the private deck. Thank you for your positive review of The Boathouse at Lochearnhead. Glad to hear the kids enjoyed fishing and feeding the ducks. We look forward to welcoming you back again in future. Once again a wonderful stay in the Boathouse. We try and visit each year at some point but our favourite time of year is December! Christine couldn't have been more helpful organising Christmas trees and tickets for Hogmanay nothing was too much trouble her efforts made our stay just perfect! Thank you for your review. We are so pleased you enjoyed your stay and the local Hogmanay gathering. A superb location in any weather! The views were so amazing from the huge windows in the cottage, we were reluctant to leave to visit the surrounding area. Beds were super comfy, and all rooms spotlessly clean. Having a hotel that served delicious food 100 yards away was the icing on the cake, cannot wait to return. Thank you for taking the time to leave this review. We are glad to hear that you found the Boathouse clean and comfortable. We look forward to welcoming you back in the future. Fabulous location right on the loch, loved the decking area. We've been staying in Lochearnhead for over 10 years in various accommodation, but The Boat House beats everywhere else. I can't envisage us staying anywhere else from now on. We've already booked for 10 nights next year, can't wait. Another stay at the Boathouse, excellent location and stunning views. The new jetty an improvement for access to the water. Very comfortable and plenty of space for the boats and trailers, will return again. Wifi is temperamental and doesn't connect to some devices, the property need more large glasses and there is too many dog hairs, but this will not stop us returning next year. Overall very good and a fantastic holiday. Thank you for leaving the review. As discussed by email you say you are anti dog so even one hair would have been a problem. This is a dog friendly property, we do our best to remove all dog hair after a stay. The previous guest saw nothing so it was unfortunate that you did find some hair. We have never had anyone say the WiFi is temperamental so will look into the problems you encountered during your stay. There are a good number of glasses at the property but we will ensure there are more pint glasses for your next stay. Beautiful house in a beautiful location. 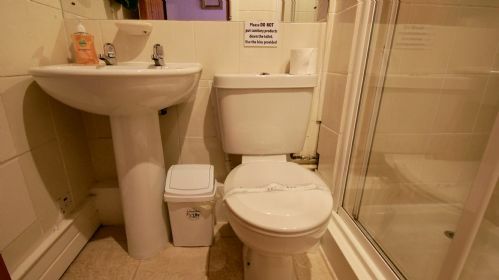 Well maintained and perfect for purpose. Would highly recommend the boathouse. Only criticism, people came round to cut the grass, paint the fence and put weed killer down during our stay-feel this could have been done during the 6 hour change over time when the house was empty for cleaning. We loved our stay at the boathouse, weave been twice now and plan to come again next year. Nothing can beat the location of this house and the house itself is always spotless. 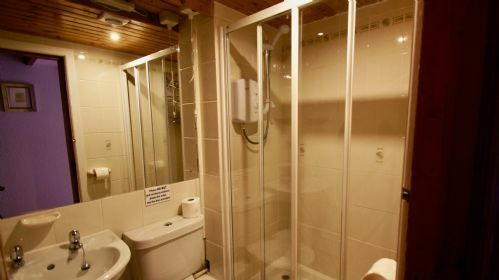 Thoughtful, modern and very comfortable facilities in all the main areas. Only drawback was it was draughty upstairs - but it was a howling Storm Force blizzard outside! The effective woodburning stove compensated for that and we had a wonderful memorable 60th birthday celebration for Rosie. Thank you. We have been using the BoatHouse for many years now and each time we do it is fabulous!! Stunning location in every season always sad to leave however hopefully we will return again in the future. We thoroughly enjoyed our week in this beautiful location. 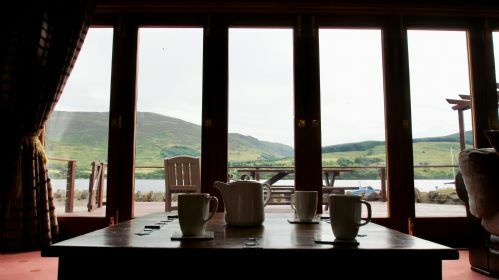 The views from ground and first floor windows over the loch are stunning - with it being October we just kept our curtains open so we could wake up in the morning (not too early) to that fabulous vista. The house is very spacious, as is the decking. We found it very cosy particularly as the sun was beating in those massive windows for most of our holiday! The kitchen is pretty well equipped, although we didn't find any ordinary baking trays, and I like my mugs bigger. I would agree with others that the downstairs sofa is not particularly comfortable, but there is plenty of seating to choose from. The television reception (essential for the rugby quarter final matches!) and Wi-Fi are excellent. The dishes could have been cleaner, which was maybe due to sloppy last minute dishwashing of guests, but we raised the issue on our return home and they were going to check the dishwasher to make sure it wasn't needing attention. The £300 deposit may have seemed a little steep, but was returned the day we vacated the property. The flexibility to book a holiday which didn't have to start and finish on a Saturday was much appreciated, and one of the reasons we chose this property. We would certainly come back and holiday here in the future. Excellent location, superb views and ideal for the water sports enthusiasts, own jetty and private decking area, with moorings. 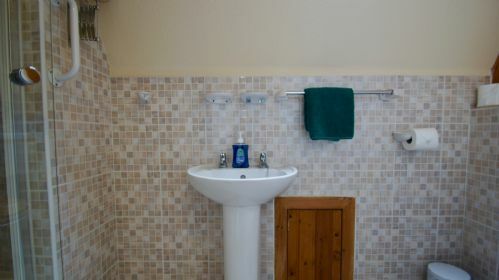 The property is large and comfortable with ample parking for boats and cars. The Boathouse was a wonderful base for our holiday. It's location cannot be beaten, and it provided a comfortable and scenic family retreat. We hardly needed to leave as we spent all of our time on the water! Nächstes Mal sollte man unbedingt Angelbedarf und ein Boot mitbringen. 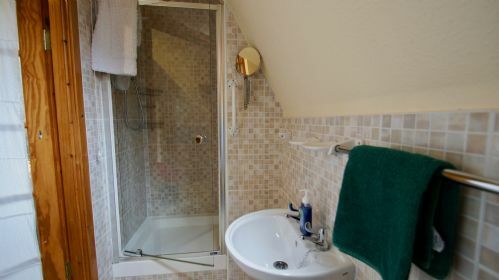 Das Haus bietet alles, was man so braucht, am Besten fanden wir das Zimmer im 1. Stock mit dem Panoramafenster. This is our second visit to the Boat House and we absolutely love it. We will definitely book again. It is large enough for the whole family including the extended part. The decking at the front provides a secure area for our 18 month grandson to run about and play on. The kitchen is well appointed and big enough for all the budding cooks to spoil the broth in. The dish washer however requires a degree in Astro physics to operate. Got there in the end though. The views from the upper bedroom and the living room are second to none. The only criticism we have is that when we arrived the upper bedroom was covered in dog hair. Not a huge problem to us as we have a dog as well but could have been more thoroughly hoovered. The sofa is a bit uncomfortable, my father found it virtually impossible to sit on it. However these minor moans aside our visit to the Boat House is the highlight of our year. I should also mention that Coopers Cottages have to be the nicest letting agents we have ever dealt with. We get the feeling that nothing would be a problem for them. Beautiful location and well equipped accommodation. Perfect for access to the 'great outdoors' and steals a bit of that all to itself! Will return soon! Lovely stay at the Boat house, excellent, quirky property and great value for money. 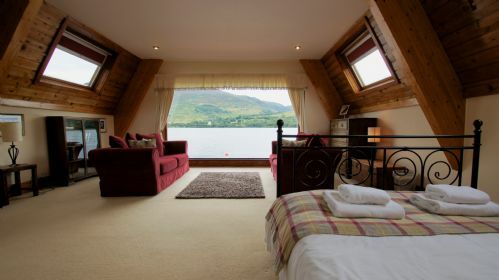 Perfect position on Loch Earn and close to two eating places. View from the master bedroom is fantastic, loved watching the Osprey and even had a brief sighting of an otter. 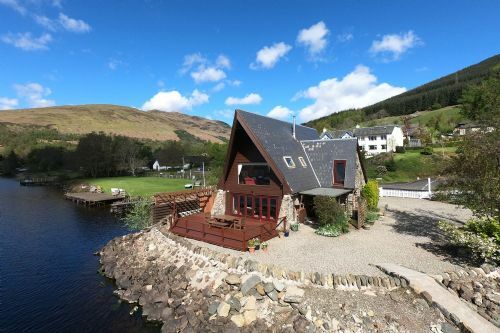 I can highly recommend this property with its stunning views over the loch. The kids enjoyed feeding the ducks by the rocks each morning while the adults relaxed with a coffee and admired the view. We were very lucky with the weather and enjoyed some beautiful walks in the area, flying our kites and some great cycles. The little shop at the end of the road is handy for day to day things and its not to far a drive in to Callander for a larger shop. 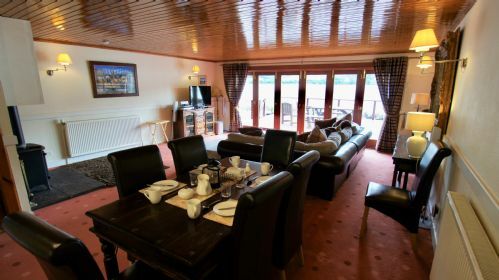 The boathouse itself is very spacious and has extremely comfy beds and by far the best location on the loch. My only small niggle would be with the kitchen which could have been better stocked, especially if you want to bake. New Year at the Boathouse (2014/15). Just returned with my family from a week’s stay over the New Year period…we always go away at New Year however this years’ time spent at the Boathouse has been the best by far for a number of years…if you are looking for somewhere to go and relax in comfort and warmth with spectacular views then I thoroughly recommend you give the Boathouse consideration….it definitely takes some beating…. I dealt with Christine (from Cooper Cottages) from my time of booking the accommodation right through until departure…can I just say that the support and service I received from her was excellent and very professional. Christmas at The Boathouse - a wonderful time! Speaking from our personal experience as we had a perfect time spent during our 2014 Christmas break at this idillic & capacious lock side property. Despite the overnight temperatures dropping to sub-zero externally overnight; we could not be feel a thing inside the property (this was due to the combination of the property's central heating, combined with the option of lighting the property's log burner). With a large kitchen and dining table the preparation and setting of Christmas dinner was easy to prepare. The property even had a Christmas tree (a slight shame it was not a real one)...for those who don't want to cook then the nearest Christmas day meal we could find was available at the Four Seasons Hotel. Signing off we can say that we would stay here again in a heartbeat....! This was my engagement weekend and with the weather holding up it was just perfect. The views are simply stunning. Best weekend! There are some lovely drives nearby which I highly recommend. Autumn is the best time with all the colours. Everyone had a fantastic stay at the Boathouse. The house was warm, comfortable very well equipped for our needs with the fabulous views which we all enjoyed. The one suggestion we would make , for those of us who have football mad partners, is that you sign up for BT sports, as you have BT Broadband this would be free, and may be beneficial for some of your future guests. 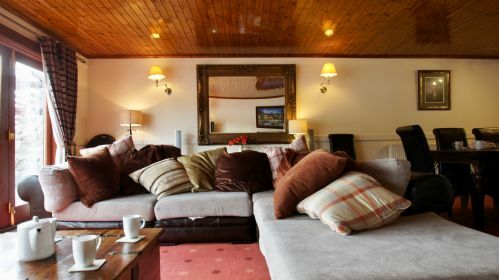 The BoatHouse has an ideal location within walking distance of two hotels who welcomed our dog. Clean, comfortable and spacious and enjoyed the whole experience. We (2 Fam) spent a wonderful holiday. There was plenty of space for everyone of us. The view from the masterbedroom is breathtaking during all! kinds of weather. 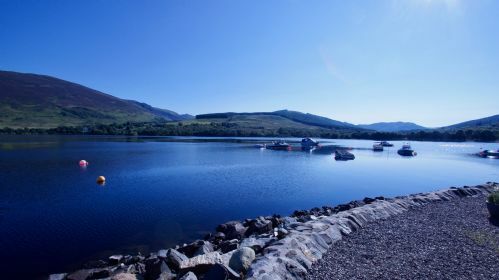 Great location, the loch is a favourite place to do our water skiing. We were pleasantly surprised that the house was much cleaner than in previous years. One of the things that lets the house down is the sofa, it is so uncomfortable and the house would benefit from it being replaced. Overall though a super place and good value for money. the boathouse is in a perfect location - apparently it was once a restaurant so it would be nice to see photos of this decorating the walls. 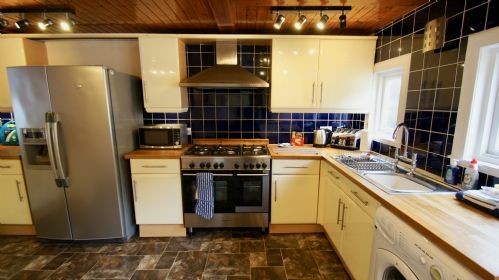 the kitchen has ample plates glasses cutlery pots and pans to self cater and well stocked shops not far away in Killen and Callender but there are also restaurants in these towns too so did a mix of self catering and dinning out . Didn't eat in Clachan hotel/pub behind the boathouse as wasn't impressed with choice or price but the bar has been refurbished and staff were very welcoming on an evening. 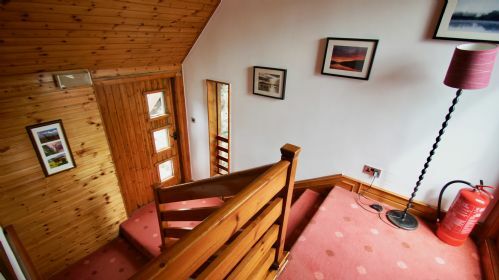 Fantastic views from both upstairs and downstairs - a beautiful Loch. A homely house, warm and very comfortable. If the weather had been a little warmer we could have sat on the decking all week. Generally a very well equipped house although not really suitable for 8 people. 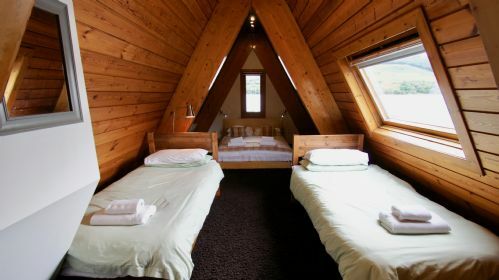 We were a family of four adults and 2 children, Our daughter and husband slept for one night in the double bed in the loft room but the bed was so uncomfortable we persuaded the children to sleep there and the adults were forced to use the twin beds on the lower floor! No wardrobe or clothes hanging space just drawers in this room either which was a little disappointing. 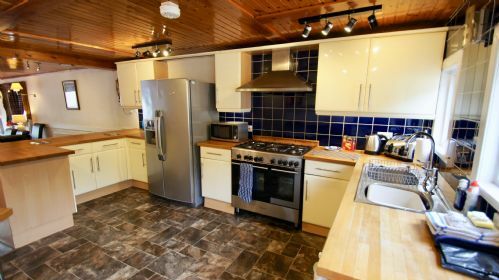 The location is lovely, the house clean and the kitchen had excellent cooker, fridge and cooking utensils. Beautiful views, quiet location ( didn't notice the traffic at all!) we all enjoyed our stay thank you! Dear Gill this is the first time we have had anyone say the beds were uncomfortable, some like hard mattresses some like soft. So glad you found a bed to suit you. The owner is committed to keeping things tip top for guests so appreciates your review. 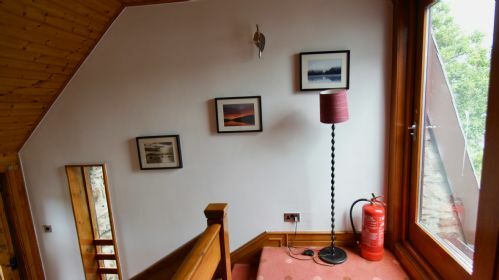 This year the Boathouse has an extensive programme of improvements planned, included in this there is to be a clothes rail fitted on the 3rd floor and lamps fitted either side of the bed on the same floor. So glad you enjoyed your stay and hope to see you return another time. My family and I stayed at the boathouse for 5days in early April and although the weather was typically Scottish the Boathouse more than made up. The views were amazing especially from the bedroom which totally takes your breath away the first time (and every time) you walk into both the bedroom and the living room. 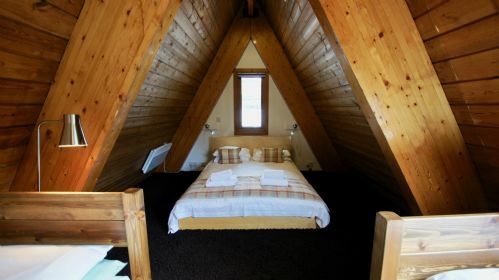 The place is very spacious and easily accommodated us (6 people). 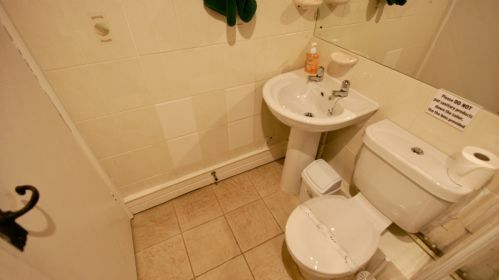 Great location short walking distance to the pub and easy ride to shops. Nice touches of leaving milk,tea and coffee etc and Christine very helpful. Would highly recommend and visit again only wish I had a boat !! Summer and I think we will definitely be returning again!! Loved it ! Hi Lauren sorry you found pots that were not clean. We strive to maintain a high standard and appreciate your comments. There should be instructions in the drawer next to the dishwasher. We will check this out and the surround sound too. I would highly recommend staying here. We had a fantastic time at the boathouse and can't wait to return! The view from the master bedroom was fantastic. The downstairs living area is great for socialising and relaxing beside the fire. Perfect accommodation and location for a family break, grandchildren loved feeding the ducks from the deck every morning and adults loved the fantastic views. Couple minor housekeeping matters need addressing. Utensils need upgrading/replaced. We stayed in September and we're very pleasantly surprised by the boathouse. Pub over the road has good food/beers the loch is glorious and there are lots of day trips from here. We walked one day and wetto te animal park another. Good shop nearby catered for most of our needs. Enjoy!